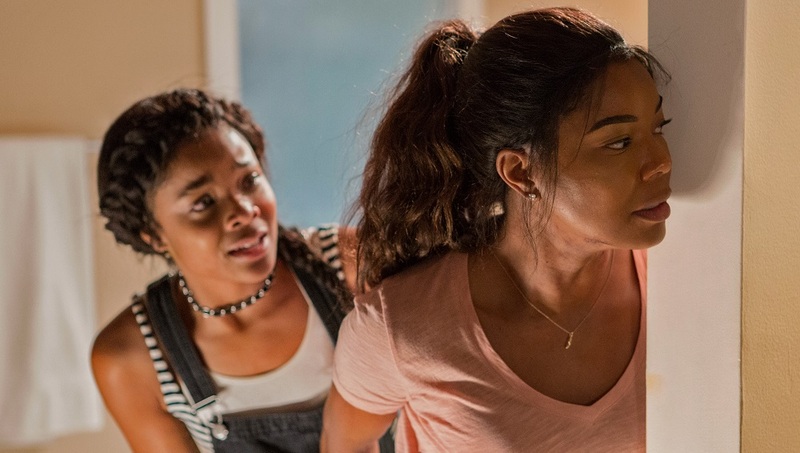 After the unexpected death of her estranged father, Shaun Russell (Gabrielle Union) heads out to his secluded country home to prepare the multi-acre property for sale. She is joined by her children Jasmine (Ajiona Alexus) and Glover (Seth Carr), her workaholic husband Justin (Jason George) hoping to join them in the next few days. While she hasn’t been years, Shaun is still somewhat shocked to discover her dad had transformed the property into a veritable fortress, installing a state of the art security system that could lock it down top to bottom within seconds in case the situation to do so might ever arise. Another thing this wife and mother didn’t know? A quartet of criminals led by the aggressively calm Eddie (Billy Burke) have been hiding inside for days, not expecting the dead man’s daughter to suddenly arrive. They’re after the $4-million in cash hidden inside a safe that’s somewhere in the house, and they’re not above taking Shaun kids hostage and locking her outside if it might help speed up the process of their getting it. 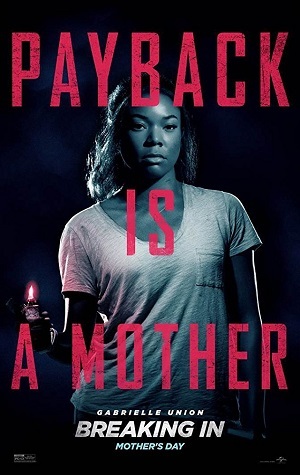 What they didn’t count on is that this mother is nobody’s wallflower, and she’s determined to do whatever it takes to ensure Jasmine and Glover survive the night even if that means she’s got to destroy Eddie’s crew one member at a time. Breaking In isn’t a good movie. The latest action effort from V for Vendetta and The Raven director James McTeigue, there’s very little about this one that’s even moderately exciting. Even though set in something akin to real time (Eddie’s crew only has 90 minutes to find the money), even with a scenario that inherently overflows in tension, somehow this movie proves to be as forgettable as it is devoid of anything resembling suspense. Ryan Engle’s (Rampage) script offers up a decent enough idea and then forgets to bring intelligence, wit or complexity to the proceedings. It all ends up being nothing more than a poorly paced waste of time, the final moments surprisingly exploitive in a way the reminded me more of I Spit on Your Grave or Last House on the Left than they did The Petrified Forest, Key Largo or The Desperate Hours. Not that any of this is Union’s fault. The talented actress is given the center spotlight and does what she can to make the most of her moment. There is a fierce determination to her performance that’s undeniably captivating. I loved a scene where she interrogates a member of Eddie’s crew, the way her body language slowly and subtly changes as she sits there calmly listening to him eerie in its quiet intensity. It’s as if Shaun is letting her inner lioness take control, the passionate emotional dexterity Union displays beyond terrific. But the movie rarely knows what to do with any of this. Worse, Burke isn’t an interesting villain, and there was never a second where I actually found him threatening. As for his compatriots, they’re the usual ragtag bunch of wimps and psychos, but none of them are ever all that believable. Only Richard Cabral standout in any noticeable way, and most of those aren’t particularly positive, the way he overplays his hand so completely during the portions of the story where he has to go full-bore psychopathic borderline embarrassing. I honestly don’t know what happened between V for Vendetta and now. Maybe it was the presence of Lana and Lilly Wachowski as producers and screenwriters that grounded him, but McTeigue has just never been able to conjure up anything even close to the same sort of magic in any of his subsequent endeavors behind the camera. Ninja Assassin, The Raven, Survivor, it’s almost as if the director keeps growing less and less confident in his craft as time goes by. Here, there’s no feeling of urgency, no sense of time, and for a movie that keeps reminding its evil characters they’re on a ticking clock before the police arrive you’d think they were all preparing for a dinner party and not trying to abscond with millions of dollars in cash. I do like Union an awful lot, and for her fans maybe this is a change-of-pace performance they might be interested in taking a look at. 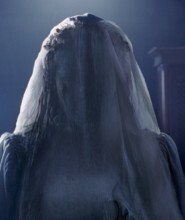 I was also suitably impressed with Cece Destefano’s (Happy Death Day) production design, and I couldn’t help but wish McTeigue would have spent a little more time exploring that massive house before all the mayhem and carnage made doing so a lot more difficult. All that being so, I still found Breaking In to be spectacularly difficult to sit through, it’s overall mediocrity a continual source of frustration that I kept feeling long after the film itself had come to its anemically dispiriting end.